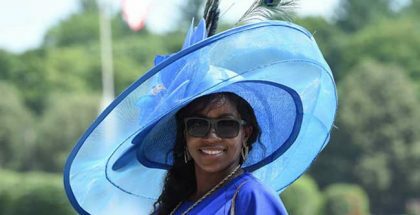 Kentucky Derby Hats Make BIG Comeback in 2016: The 142 running of the Kentucky Derby takes place on Saturday, May 7, 2016 and picking a hat is almost as challenging as picking the winning horse. With the influence of Duchess of Cambridge Kate Middleton, the fascinator has been popular for several years. But does the fascinator take the fun out of the traditional Kentucky Derby wide-brimmed hat? Recent reports from fashion designers and milliners across the world indicate that big hats are back, especially for the Kentucky Derby! 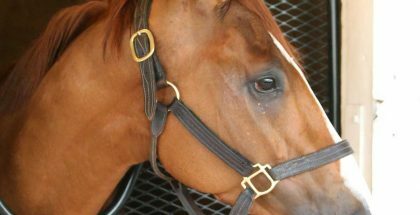 Stylish fascinators are easy to pull of with most any Kentucky Derby look. From pleated suits to midi-dresses, the fascinator looks great on everyone with minimal maintenance throughout the day. If you’re heading out to Churchill Downs, the fascinator makes it easy to maneuver throughout the large crowds. The only thing worse than spilling a mint julep on someone walking by is to continuously bump him or her with your big ol’ hat! 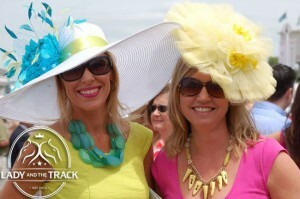 Despite the challenges, big hats are traditional and fun for the Kentucky Derby. Our advice? Go tall instead of wide. Pick a hat with a smaller brim that has some height to it. Height will add drama to your Kentucky Derby hat without overwhelming your look and the space around you. Feathers and other ornamental items can be added to any hat to give it some showmanship. Bows and flowers also add color and height without overwhelming the small brimmed hat. Material taken from your Kentucky Derby dress can be added to the hat as well to create a uniform look from head to two. If you’re heading to Churchill Downs or enjoying a party at home with friends, it’s best to keep your Kentucky Derby hat stylish yet comfortable. You’ll be relieved if your hat fits comfortably throughout the day so you can concentrate on cashing winning tickets! The 142nd Kentucky Derby will be televised on NBC from 4:00-7:30pm ET. Post time for the Kentucky Derby is currently set for 6:34pm ET.